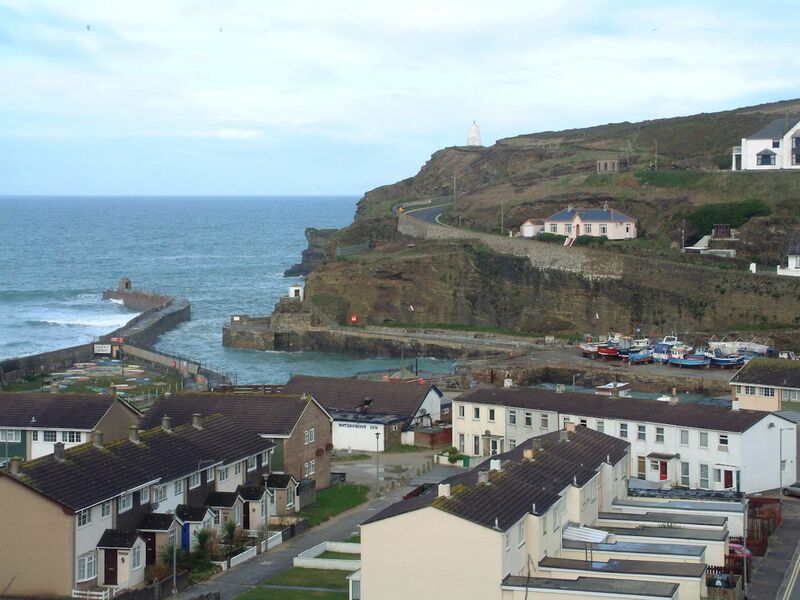 Portreath is a small drying harbour now used by forty local fishing, diving and pleasure boats and occasionally by visitors cruising along the North Cornwall Coast. It is the only harbour between Padstow and Hayle, but even so should be regarded with great caution. The success of the local copper mining industry in the eighteenth century dictated the need for a local port since copper ore had to be transported to South Wales for smelting and land transport was out of the question. A pier was commenced in 1760. The pier, basin, jetty and warehouses cost £12,000, but before long a further £6,000 was spent on the inner basin, more buildings and roads. A small artillery battery protected Portreath from privateers: this had been erected in the American War due to a daring attack made by an American privateer after some merchantmen had taken refuge in the bay. The attack was resisted by local people, allegedly armed only with ‘fowling pieces’. In the 19th century the busy port served the mining and industrial towns of Redruth and Camborne importing coal and exporting tin and copper. By 1840, 100,000 tons of copper ore a year were passing through Portreath, as well as imports of huge quantities of building materials and coal. In May 1837 twenty vessels laden with coals, three of them steamers, were in the harbour at once and further arrivals had to be diverted, but this was clearly exceptional. There was a yard building sailing vessels, and a shipping firm which owned eighteen schooners. Portreath survived longer than most of the little ports, but by 1950 only occasional colliers unloaded domestic fuel. It should be noted that the entrance is dangerous when there is a heavy sea or ground swell running, or when it is blowing from west to north: in such conditions yachts should keep well away from this stretch of coast. The harbour is not lit, although it can be picked out by a white "pepperpot" day mark on the cliffs above the harbour. Visitors' moorings are occasionally available. The harbour belongs to Cornwall Council, but moorings are looked after by the Portreath Harbour Association. There are no mooring charges as such, but a donation would be accepted by the Treasurer or Secretary. The middle basin dries about two metres. There is some water from half-tide upwards but, depending upon draught, the harbour is generally usable for two hours each side of high water. During entry do not cut the corner around Horse Rock or the pier head. The inner dock shallows towards the far end where is a small slipway.